SOTAWatch spots page 2. 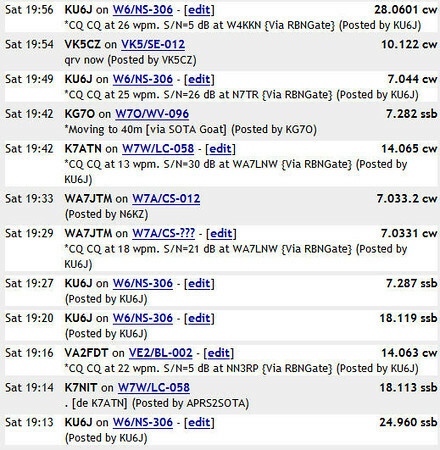 I missed WA7JTM for a summit-to-summit, and couldn't hear Rachel K7NIT on 17m or Etienne K7ATN on 20m (inside the skip zone). I was hoping they would move down to 40m but they didn't, at least not during the time period that I was on the air.